The ongoing battle for YouTube’s top spot has taken a very strange turn. As Indian music channel T-Series continues to close the gap on Pewdiepie’s subscriber count, the Swedish YouTuber has gained an unlikely ally in the form of a British political party. The UK Independence Party (UKIP) is a right-wing political party whose raison d’etre was to campaign for Britain to leave the European Union. With their mission (theoretically) accomplished, they’ve become something of a fringe party, and currently hold no seats in the country’s House of Commons, and just one seat in the House of Lords. 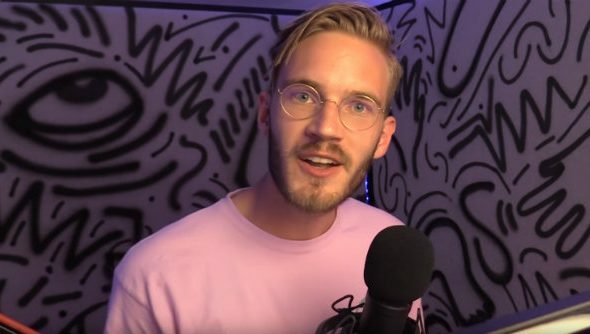 Earlier this week, the party tweeted a link to a petition about Article 13 – a European Union directive that would require websites like YouTube and Tumblr to police copyright infringements on their platforms – while also announcing their support for Pewdiepie. Pewdiepie has been tweeting about the directive, which might have spurred UKIP’s expression of support, but I personally don’t imagine that their audiences cross over all that much. I also have to say that I enjoy the irony of a party that’s against European freedom of movement endorsing a Swedish man living and working in the UK under exactly that policy. Pewdiepie’s ongoing subscriber war against T-Series has already taken some strange turns. Last year, a GTA V hacker posted an in-game notice reminding people to subscribe to the YouTuber’s channel, but it doesn’t really seem to have slowed the Indian channel’s progress – at time of writing, just 200,000 subscribers separate the two.